Stand-alone 60″ self-contained interactive displays. 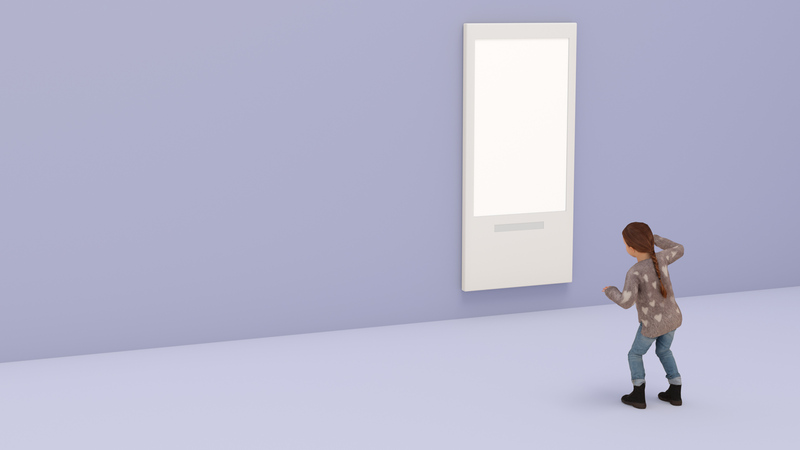 Avatar Mirror – Creates a moveable avatar that mimics a child’s movements. The experience gives young children the magical ability to play with a cast of animated characters of their choosing… A Frog, a bear, a space traveler or a super hero. Virtual Ocean [horizontal orientation] – A therapeutic environment with a vast under water seascape of colorful corals, rocks, sand, and kelp that allows children to experience the wonders of the beautiful ocean blue. A Humpback whale and her calve make their way in the distance while Dolphins and Sailfish dart through the seascape. Closer to the children interactive Hermit Crabs, Puffer Fish, and Starfish abound.